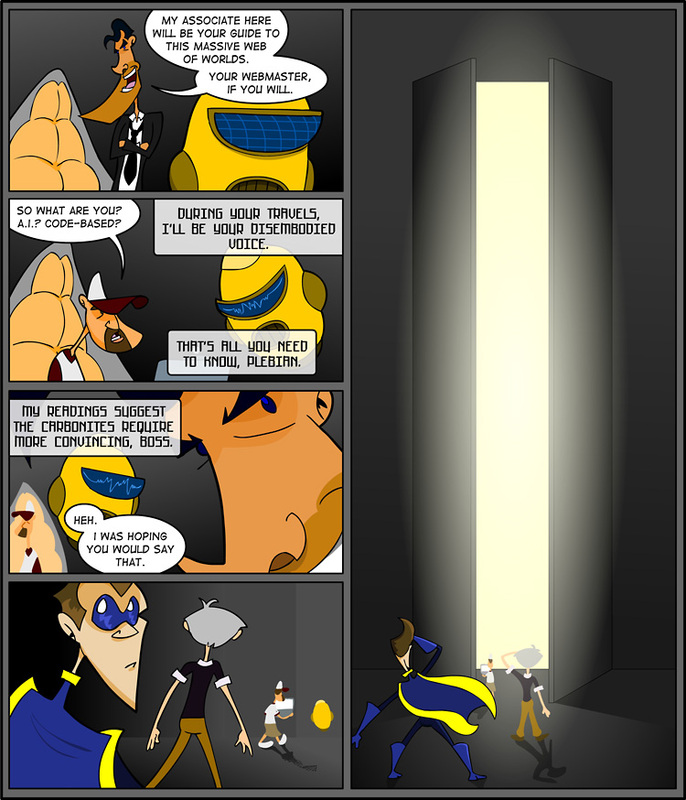 Digital Strips Adventures » Archive » Episode 1, Page 5: What Lies In The Shadow of The Massive Doors? I can safely say that the mystery of what Daku is hiding behind those two, ridiculously large doors is far and away the biggest surprise that we will reveal next week. So it looks like Jerry will be the guide for these upcoming, outrageous, inventive adventures into other worlds, but just what other worlds will those be? We’ve got the first two hammered out and I can say that the first will take our intrepid explorers (is there any other kind?) to a very super place where they will visit a likewise hero who wasn’t seen any action for some time now. Let the guessing game… BEGIN!